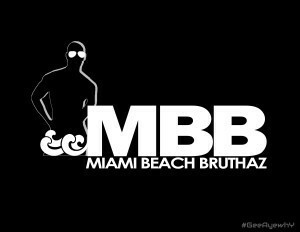 African-American and Latino men head to South Beach every July for a four-day celebration known as the Miami Beach Bruthaz (MBB) that includes the MBB White Masquerade party, swimming suit and underwear fashion shows, an all-day rooftop pool party on Ocean Drive, house and tribal beats and wild Brazilian partying. Open to everyone regardless of race, gender, sexual preference or orientation, it's been going on since 2006. New Rules for On-Shore Excursions in Cuba! The new regulations from the U.S. Government that came out in November do not affect our sailing to Cuba! However, the self-guided “people-to-people” travel will no longer be allowed once in Havana. This means that we will need to participate in a group “people-to-people” tour while there. All Royal Caribbean On-Shore excursions comply will this new rule. Everyone traveling to Cuba will have to be on an official Royal Caribbean On-Shore excursion in order to get off the ship in Cuba. MBB has selected the Easy Panoramic Havana tour for our group to comply with this new regulation. That tour costs $89 per person and must be paid to Royal Caribbean as part of your total cost. We’re Cruising to Cuba on the Majesty of the Seas! Royal Caribbean has announced that they’ve changed our ship for our cruise to Cuba. We’re now sailing on the Majesty of the Seas! This ship has all the same amenities plus more! Your cabin caterogy remains the same. We’ll enjoy places like Johnny Rockets, Splashaway Bay, a Sports Court and additional lounges! There’s still time to join us on our Cuba cruise. Book your cabin today by calling the Royal Caribbean groups department at 800.465.3595 and refer to the Miami Beach Bruthaz group code 2711748. See you there!